Featuring Nicole Kidman being, erm, well Nicole Kidman. Mariah Carey stealing Meryl Streep's seat. Mariah tweeted about the incident and begged for Meryl's forgiveness. 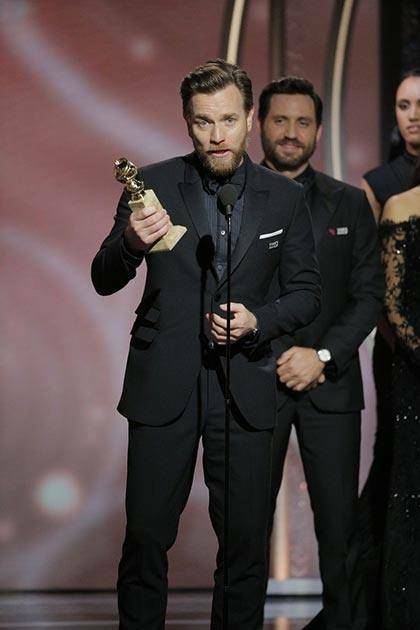 Ewan McGregor thanking his wife AND his girlfriend in his acceptance speech. 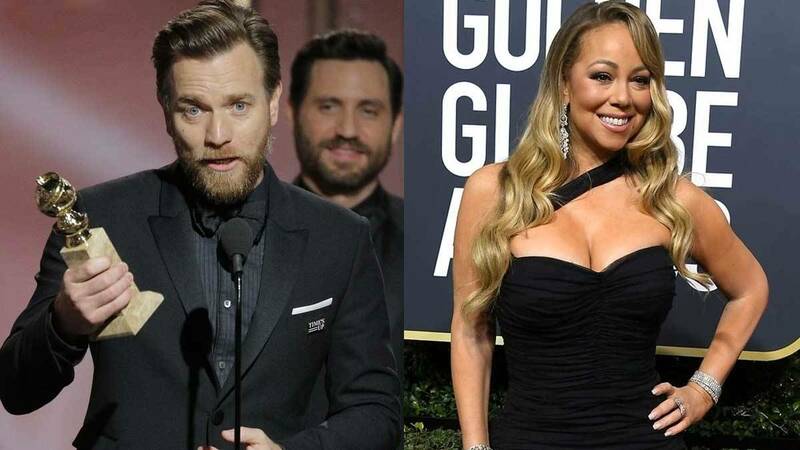 PHOTO: Getty Ewan won the best actor in a limited series award for his role of twins Emmitt and Ray Stussy in Fargo, and gave a shout-out to his estranged wife Eve Mavrakis and new girlfriend and co-star Mary Elizabeth Winstead, which Twitter thought was pretty damn "gutsy." Alexander Skarsgard thanking Nicole Kidman but not the rest of his Big Little Lies co-stars. PHOTO: Getty He said: "Thank you. Our extraordinary cast, we're all here. Especially Nicole. Hi. Not that you're, like, more talented than the other girls." Speaking Of Nicole Kidman, there was this hella awkward kiss with husband Keith Urban. They just couldn't seem to line up their lips. Timothee Chalamet fangirling over Tonya Harding. The young actor couldn't believe his luck when he got sat next to the famous ice-skater. James Franco stopping Tommy Wiseau from talking. The Room star just wanted to have a moment, but he was well and truly denied. And Hugh Jackman was devastated. Oh, and Tommy leaving the stage completely the opposite way to everyone else. Guillermo del Toro having his speech cut short. 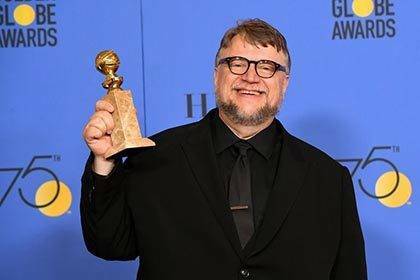 PHOTO: Getty When the director won a Golden Globe for Shape Of Water, the sound guys tried to cut his speech short. But he wasn't having any of it. He said: "Lower the music, guys. It's taken 25 years. Give me a minute." Blanca Blanco ignoring the "black dress" memo. PHOTO: Getty The actress wore a revealing red dress instead of a black number like most of the female attendees. The black dress theme was a sign of solidarity to victims of sexual harassment and assault. A conversation that is finally being discussed in Hollywood since the Harvey Weinstein scandal first broke. 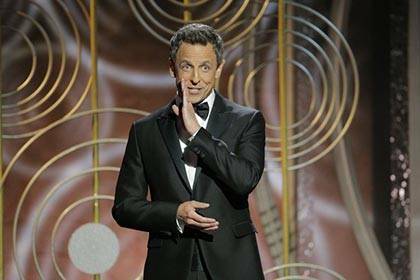 Host Seth Meyers most definitely NOT holding back in his opening monologue. 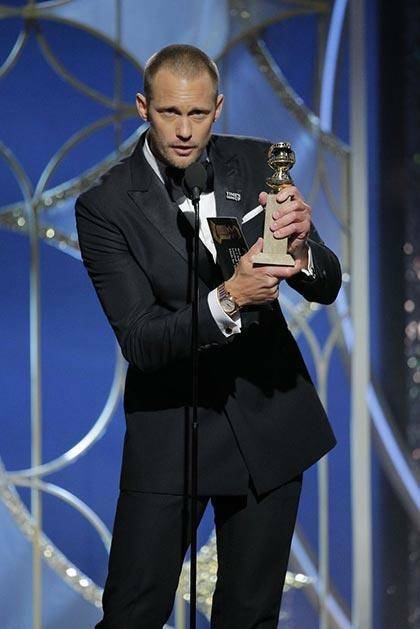 He opened up the 75th annual Golden Globes with the line: "Good evening, ladies and remaining gentlemen." Tarana Burke—the creator of the #MeToo Movement—being interrupted. Tarana was given about 2.7 seconds of airtime before being sidelined for footage of women on the red carpet. Mariah Carey asking Al Rocker to switch sides so her best side was shown.